Following a successful student fayre at UKC which saw over 500 student signing up to the new UKC Green Party Society, plus the latest polling which puts the Greens neck and neck with the Lib Dems nationally plus a huge rise in national membership, local Greens have said that the chance of winning in Canterbury is increasingly real. 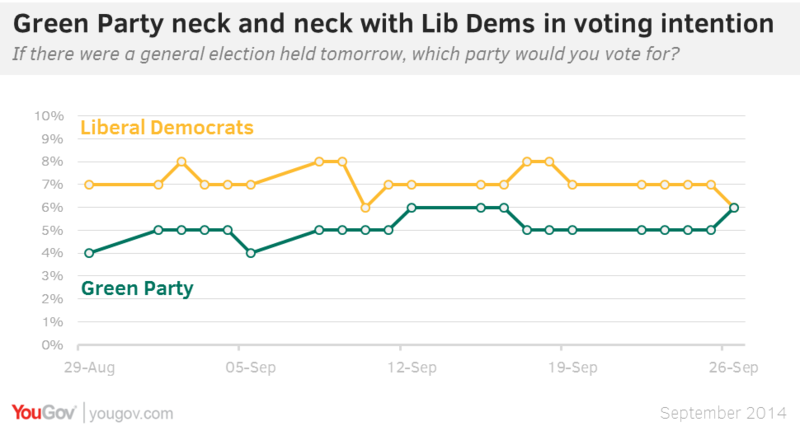 Stuart Jeffery, Green Party Parliamentary Candidate for Canterbury and Whitstable: "This weekend's YouGov poll tells two stories, one is of the decline of the Lib Dems and the other more important one is the rise of the Greens. "The level of momentum cannot be underestimated. Our England and Wales membership has grown by 40% this year and is just under 20,000. In Canterbury last week over 500 students joined the UKC Green Party Society at the Freshers Fayre. 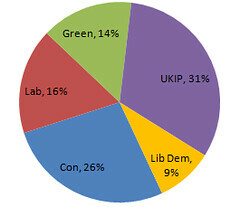 "This year we achieved an amazing 14% in the constituency, rising to 18% in Canterbury City. With Labour not targeting Canterbury, the collapse of the Lib Dems plus the splitting of the Tory vote by UKIP, there is a real chance that the Greens can win Canterbury. We will be doing all we can to have Kent's first Green MP in Canterbury next year."